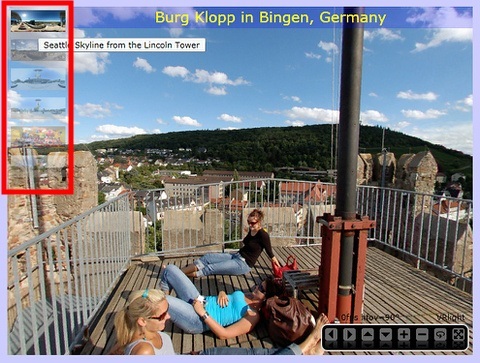 VRlight is a Silverlight based multi-platform solution to display virtual tours (VR) of 360x180 panoramic images. 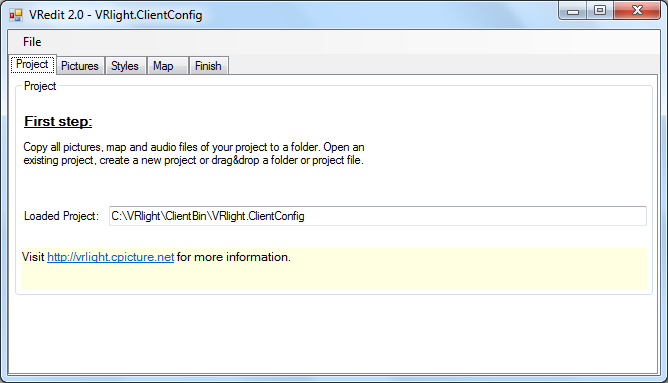 Download VRlight.zip and unpack the files to a folder. 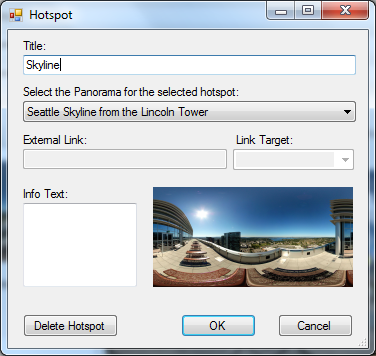 Copy your panoramic images to the folder ClientBin. The images must have a aspect ration of 2:1. For example: 4000px x 2000px. Except for the Layout mode 'Text', you should provide thumbnail images. 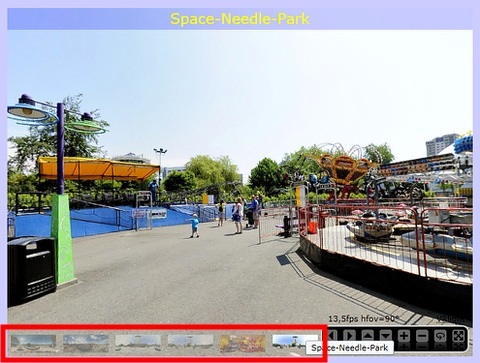 Resize the panoramic images (for example: 200px x 100px) and add the image to the folder ClientBin. You can also provide low res preview images that are loaded before the actual image. 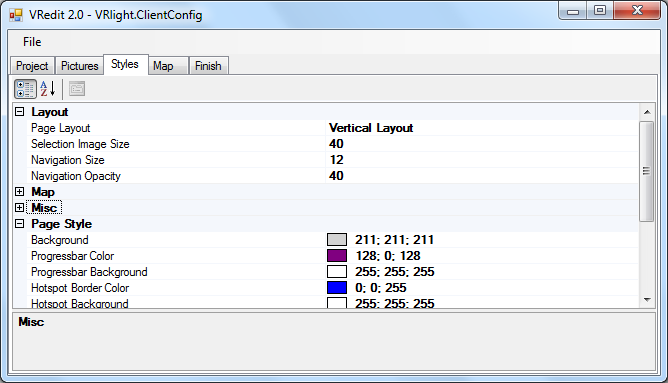 Resize the panoramic images to 50% with luminance compression of 20% and revert to grey scale after that. 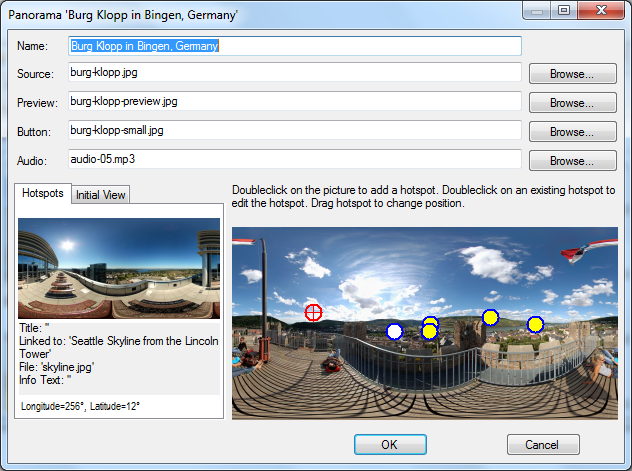 That results in perfect preview images and can be easily done with cPicture. 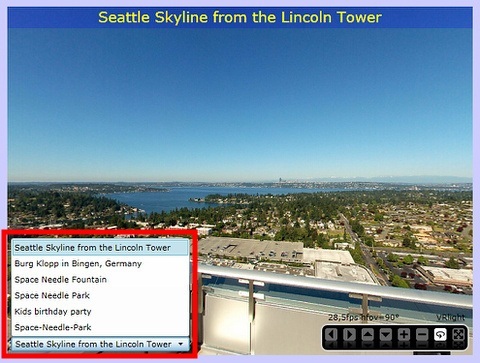 Click the 'Add' button to add the equirectangular panoramic images. 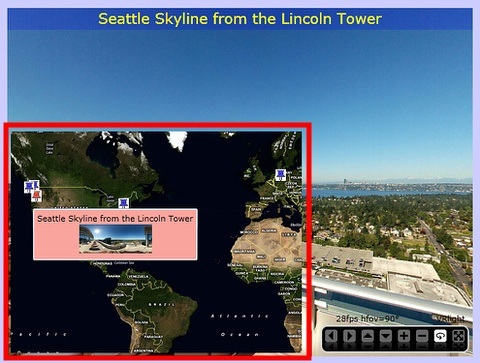 The coordinates are relative to your map file (map.jpg in this sample). You need to add the map file to the ClientBin folder. 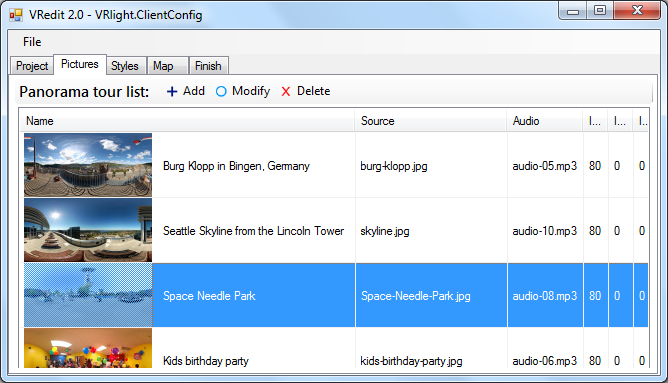 Upload the files in your project folder to the IIS or Apache webserver.